Bryerly Long (b. 1988) graduated with a BA Hons in Japanese Literature from the University of Oxford, and joined the contemporary Japanese theatre company Seinendan in 2010. She made her film debut in "Hospitalite" (2010) by Koji Fukada. Long co-produced and starred in "Sayonara" (2015) by Fukada, the first film to feature a real android robot. 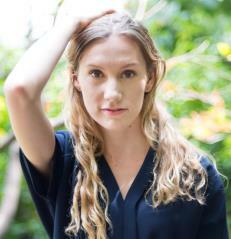 She has worked as an actress with many established Japanese directors in theatre and film; and directed stage productions combining various genres (dance, music, theatre and photography). "Tokyo Dreamers, a little violence" is her debut work as a film director. 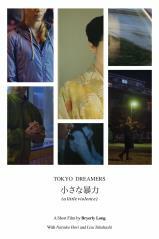 "Tokyo Dreamers, a little violence" depicts a day in the life of three women living in contemporary Tokyo.